A month ago, we asked for your help to decide which bit of the Martian South Pole (Inca City, Ithaca, or Manhattan) the world would see first to mark the start of the new season of HiRISE‘s South Pole monitoring campaign. 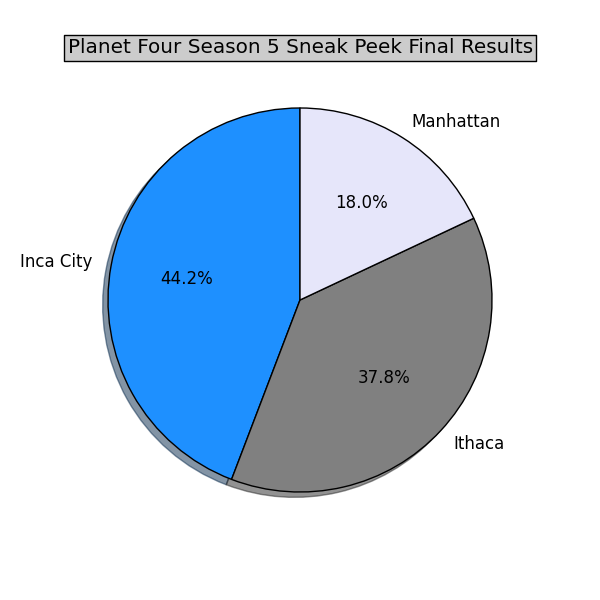 A big thank you to everyone who voted in the Season 5 Sneak Peek vote, and many thanks to the HiRISE team and the Zooniverse team for their help as well. The votes have been tallied and we have a winner. The winner is…. Inca City was the most popular choice. Inca City is known for its boulders. It will be exciting to see if there are already fans by the boulders after the early days of sunlight when the first HiRISE monitoring campaign image gets taken. Once the first observation of Inca City has been acquired and processed by the HiRISE team, it will be made ready for public release. We’ll let you know on the blog as soon as the Inca City observation has been made public.